The G2228 is a four-section Carbon Fibre version of the Explorer series. Versatility is the key to this tripod due to its quick set-up, rugged construction, innovative design and loaded features offering shooting positions that are virtually impossible with standard tripods. Really Right Stuff BH-55 Pro Ball Head comes with 5D mark II, 7D, 5D, 40D, 50D and various lens plates included and has loading capacity of 23kg! 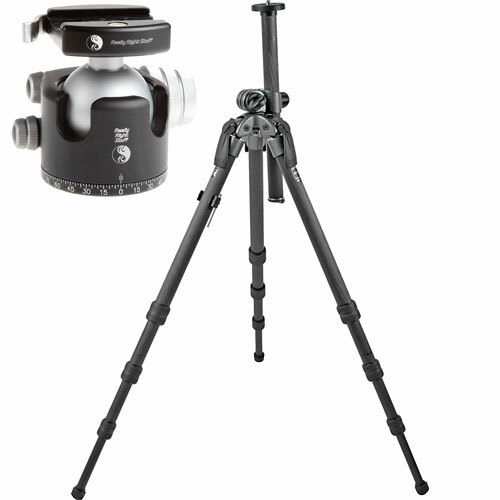 Gitzo Explorer G2228 + Really Right Stuff BH-55 Pro Ball Head is available for rent or hire from RENTaCAM Sydney.